Come for the bargains! Our seasonal Sidewalk Sale is a great opportunity to save when shopping for art, antiques, clothing, books and personal care services. If you haven't perused our streets in a few months, we have a variety of new businesses popping up adding to our Upbeat Vitality & Offbeat Charm. 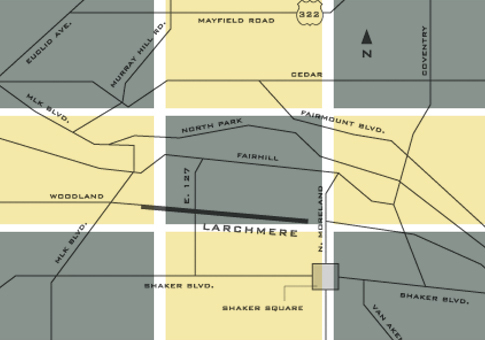 Services for repairing homes and caring for our elderly community, educational services for enrichment, and some of the best designers in the Cleveland market reside on Larchmere Boulevard. Come for a delicious meal and enjoy the day within the diverse community of independent businesses.